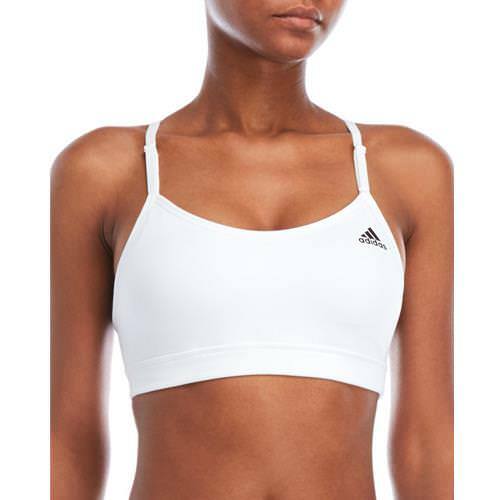 Add a touch of sporty style to your workout gear with the adidas® Women’s Strappy Sports Bra. This medium support bra is designed with climalite® fabric to eliminate sweat so you stay cool and comfortable. A racerback construction and mesh panels provide unstoppable ventilation, while stretch material and built-in padding deliver locked-in support. Get the coverage you need to train like a champion with the adidas® Strappy Sports Bra.